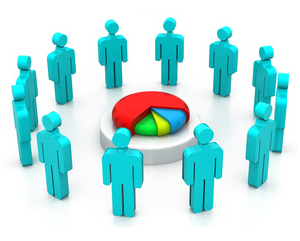 Knowledge Sharing through Market Analysis. Distribution of Primary Bonds to the retail and wholesale market. What is Preference Shares ? Preference shares are securities issued by a company that do not carry any voting rights like ordinary shares. However, they entitle their holders to a fixed dividend and have a fixed maturity, after which the company redeems the principal. Holders of preference shares get priority over those who own ordinary shares, if the company goes for Liquidation. SEBI has recently allowed listing of non-convertible redeemable preference shares, that is, those that are not convertible into equity shares and are redeemed at maturity. Listing will give investors the option of exiting rather than waiting for the instrument to mature. As the shares are listed on the exchanges and an STT is levied on the transaction. Thus any sell beyond one year will be treated as long term, and there is no long term capital gain Tax on Shares. Preference shares are not very popular due to lack of knowledge among the investors and the small size of the issuances. SEBI has mandated a rating of AA- and above and a minimum of three-year tenure for listing. Preference shares do not carry voting rights. Companies, too, may pay dividend only when they earn a profit. In the cumulative option, if the company does not pay dividend in one year, the holder has the right to the payment in the next year, before any dividend is distributed to Equity Shares. Preference shares are quasi-debt instruments. Preference shares combine features of equity and debt. They carry equity risk as the principal is not secured. Also, they entitle holders to a dividend similar to fixed deposit interest and have a set tenure.Preference shares are offered as part of share capital. The company pays fixed dividend to their holders. In this, they are unlike ordinary shares, where dividend is not fixed. Dividend income up to Rs.10 lakhs is tax-free in the hands of an investor. Dividend income more than Rs.10 lakhs will be taxed at 10%. An investor usually compare Preference Shares with non-convertible debentures, or NCDs, which also pay a fixed rate, besides protecting the principal (unlike preference shares), as well as tax-free bonds, which are long-term but protect both principal and interest. In the worst case scenario of liquidation, holders of preference shares are put below NCD holders in terms of claim on assets. Hence, dividend on preference shares is higher than what one earns from NCDs and tax-free bonds. But a lot will depend on the rating of preference shares. So, while investing in preference shares, one should look for tax arbitrage along with the risk. Interest income from NCDs is taxed while dividend income from preference shares is tax fee up to a Dividend income of Rs. 10 Lakhs. On the other side, interest from tax-free bonds is not taxed. Tax-free bonds' tenure usually exceeds 10 years. On the other hand, while listing will make preference shares more liquid, they also have the advantage of being redeemed by the issuing company. Also, holders of preference shares are in some cases given preferential allotment during issue of shares. In the above chart we are presuming that the Dividend income of an investor will be less then Rs.10 lakhs per annum. Before investing in preference shares one should look at the company's past profitability and dividend payouts and how it plans to use the funds from the issue. The credibility and reputation of the management is also equally important. Credit rating of the company will help an investor to understand what kind of company he is investing in and whether it will grow in size and popularity. A coupon is an interest guarantee attached to a debt instrument; the coupon rate is the interest rate, which the holder of that debt instrument will receive. 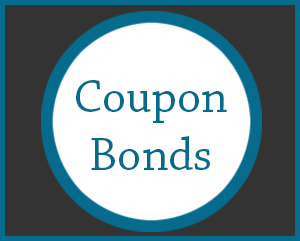 As the name suggests, zero-coupon bonds have no coupon rate i.e. there is no interest to be paid out. 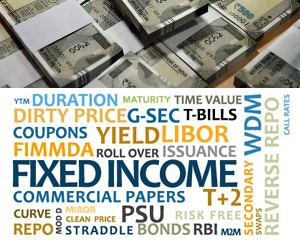 Instead these bonds are issued at a discount to their face value (Simply put, in a fixed income instrument, the face value represents the par value/nominal value; it is the amount payable to the holder of the instrument on maturity). The difference between the discounted issue price and face value is effectively, the interest that investor earns. For example, if the face value of a zero coupon bond is Rs 1,000 and its issue price is Rs 900, then the difference between the two i.e. Rs 100 is the return for investor (i.e. 10 per cent rate of return). A 10 Year BhavishyaNirman Bonds of National Bank for Agriculture and Rural Development (NABARD), Rural Electrification Corporation (REC) and National Housing Bank (NHB) are being issued as long term investment instrument, under Sections 2 (47)& 2(48) of Income Tax Act, 1961. All the above three institutions are Central Government Undertaking withAAA rating. The bonds can be held in both physical as well as in dematerialised (demat) form. In terms of tax implication, the maturity proceeds from these bonds attract no tax deduction at source. Instead, the said income i.e. difference between face value/purchase price and issue price, will be treated as capital gains and capital gains tax will be payable by the investor. At present the Long Term Capital Tax is 10% without indexation and 20% with indexation. These bonds are transferable and can be mortgaged. Therefore, in case, the investors require liquidity for a temporary period, the bonds may be pledged with the Banks for raising loans. 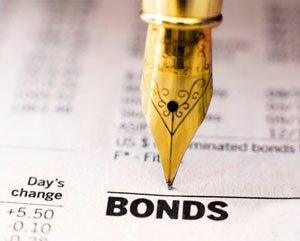 The bonds can also be sold in the secondary Bond Market with the help of an intermediary/Broker. The Bonds are highly liquid due to following reasons. 1. All the three institutions are Central Government Undertakings 2. Tax efficiency (The gain will be treated as Long Term Capital Gain instead of interest income) 3. “AAA” rating by CRISIL and CARE. These bonds are mostly issued by Central government entities and pay a fixed coupon rate (interest rate). As the proceeds from the bonds are invested in infrastructure projects, they have a long-term maturity of typically 10, 15 or 20 years. There is no upper limit on the size of the investment. These bonds are mostly issued by Central government enterprises and pay a fixed coupon rate (interest rate). As the proceeds from the bonds are invested in infrastructure projects, they have a long-term maturity of typically 10, 15 or 20 years. There is no upper limit on the investment amount. The income by way of interest on these Bonds is fully exempt from Income Tax and shall not form part of Total Income as per provisions under section 10 (15) (iv) (h) of I.T. Act, 1961.As the interest income is Tax Free, there is no deduction of tax at source (TDS) from the interest, which accrues to the bondholders. The coupon (interest) rates of tax-free bonds are linked to the prevailing rates of government securities. So these bonds become attractive when the interest rates in the financial system are high. In some of the issuances, retail Individual Investors (Individual & HUF) get higher interest rates. The advantage of higher interest rate can be availed, even if an Individual investor invest through secondary bond market. The interest on these bonds is paid annually and in some issuances it is semi-annual and credited directly in the bank account of the investor. Since tax-free bonds are mostly issued by central government-backed companies, the credit risk or risk of non-repayment is very low. The investor can hold the bonds either in demator in a physical mode. It is preferable to hold the bonds in a demat form, for convenience and ease of trade. The tax-free bonds get listed and then traded on the secondary Bond Market to offer an exit route to the investors. The quote on the exchange will be a summation of : Face Value +/- Premium/discount + Accrued interest.Investors can buy and sell these tax free bonds to take advantage of interest rate cycle. Though the interest earned on these bonds is tax-free, but any capital gain from sale in the secondary market is taxable. Short-term capital gains from sale of tax-free bonds on exchanges are taxed at the normal rate, while long-term capital gains are taxed at 10% without indexation and 20% with indexation, whichever is lower. By indexing, you adjust the purchasing price with annual inflation. Tax-free bonds are suitable for investors looking for a steady source of income annually . Generally an investor, who is into higher Tax bracket of 20% and above should invest in these instrument. The interest earned on bank FDs and other normal bonds are added to the income of the investor and taxed as per the income-tax slabs. As interest earned from tax-free bonds are not taxed, investors in higher tax brackets mostly earn a better post-tax return than from FDs. Majority of the bonds are secured in nature. Whereas the Bank FD is not secured beyond Rs.1,00,000 (One lakh). We offer the service of Buying and selling of Tax free Bonds in secondary Debt Market. Please feel free to call on our office for two way quotes.